Designed by well known bench rest competitor Butch Fisher, this non-abrasive chemical solvent is specifically designed to remove all forms of bore fouling including copper with an absolute minimum of effort and no damage. It will quickly remove carbon build-up, even in difficult to clean areas like the chamber throat. It also removes lead, wax and even plastic shotgun wad build up. 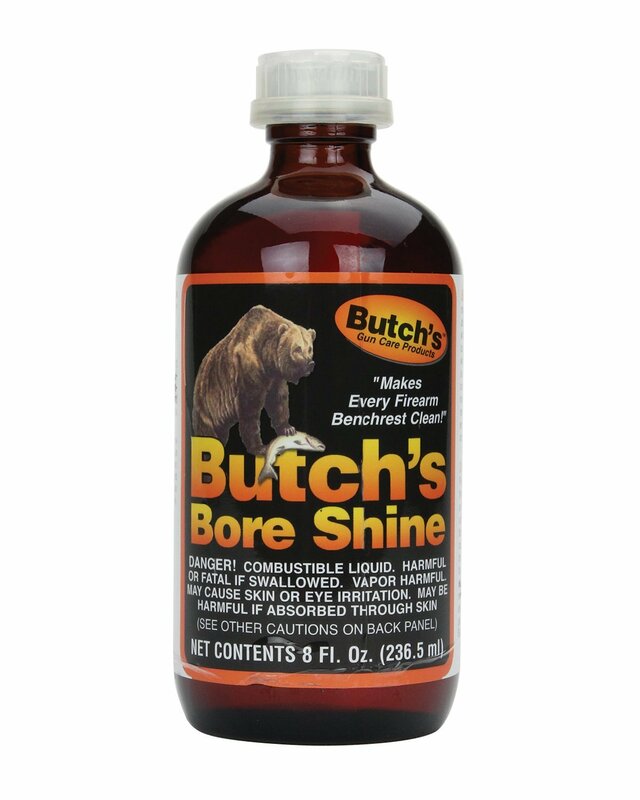 A significant improvement over conventional solvents, Butch’s can also control the copper fouling by pushing a few patches soaked with Butch’s prior to shooting. Butch’s is safe to use on normal and stainless barrels. It is a true “All in One” Cleaner. Try it and you will never use anything else! Now available in three sizes.